Cook Tucson, a community kitchen & culinary incubator, was created to provide food businesses a place to get started, to grow and to thrive. 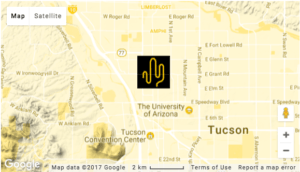 Our team provides a unique combination of culinary and business development guidance to Cook Tucson and its members; with expertise in marketing, start-ups and culinary enterprises. Cook Tucson elegantly combines these disciplines – further developing Tucson into a premier foodie destination with a thriving community of healthy, local and unique food options. Conveniently located in Tucson near downtown, midtown and 1-10, we offer licensed commercial kitchen space available to rent by the hour or by the month. Whether you are an aspiring entrepreneur that needs a licensed kitchen to get started or an existing small business that needs more production room, we provide the equipment and licensed commercial kitchen space you need 24 hours a day / 7 days a week.